In a city synonymous with backroom dealing, hidden doors and secret passages might not seem that far-fetched. But did you ever think you'd be able to party among them? 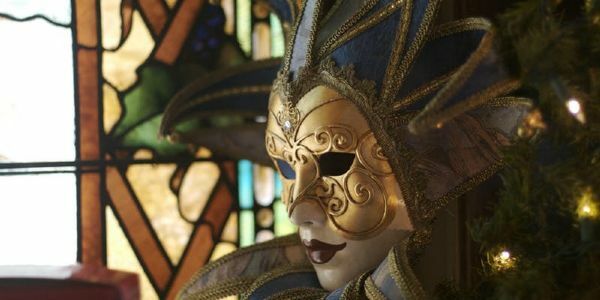 Now’s your chance with our New Year’s Eve Secrets & Spies Masquerade party. Enjoy premium open bar and dance until the stroke of midnight when you will share a toast with the spy who loves you. One of DC's Most Unique Museums & event venues the cool factor of this former FBI hideout has definitely been noticed -- it has been named "The Coolest Place In D.C." by booking.com, featured on The Travel Channel's show Mega Mansions, and was deemed one of the top 5 historic venues to explore — in the world by Smithsonian Magazine. O Museum in The Mansion boasts more than 70 secret doors and 100 rooms full of paintings, sculptures, memorabilia, and a huge signed guitar collection. NOTE: champagne and shots not included in the open bar.